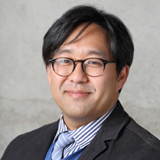 Dr. J. James KIM is the director of the Asan Institute for Policy Studies in Washington, DC and research fellow of the Center for American Politics and Policy at the Asan Institute for Policy Studies (Seoul). He is also a lecturer in the Executive Master of Public Administration program at Columbia University. Previously, Dr. Kim was an assistant professor of political science at the California State Polytechnic University (Pomona). He also served as a summer research associate at the RAND Corporation and as a statistical consultant for the Institute for Social and Economic Research and Planning at the School of International and Public Affairs in Columbia University. His primary research interests include political economy, energy, security, public opinion, democracy, methodology, and media. Dr. Kim received a B.S. and M.S. in industrial and labor relations from Cornell University and an M.Phil. and Ph.D. in political science from Columbia University.